Whether you are a startup, small, or large enterprise, Oracle Hyperion has a solution for you, being Oracle’s top financial consolidation, reporting, and operational analysis software. When it comes to looking for a solution for planning, forecasting, budgeting, and evaluating your business decisions, you want the best tool. If you are looking for an alternative solution, let’s explore main Oracle Hyperion competitors. A solution used for web-based budgeting, forecasting, and planning, IBM Cognos comes with a collaboration platform that users can leverage to share information on planning and make better decisions. 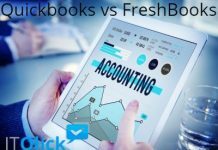 An ideal solution to improve forecasting and track metrics, the software supports multiple budgeting scenarios and profitability analysis with scorecards. The Oracle Hyperion alternative solution comes complete with an array of products that give it an edge over several business intelligence products. The online business intelligence platform comprises over thirty products, designed to facilitate data integration, reporting, dashboarding, scorecarding, and analytics. It offers a range of product enhancements, including better filtering of reports, support for chart values, adhoc reporting, ad hoc analysis, automatic schedule reporting, and advanced calculations for dashboards. One of the top-rated Oracle Hyperion competitors, Prophix is a planning solution integrated with budgeting, analysis, forecasting, and management reporting. The solution comes with a collaboration platform that facilitates seamless integration with third-party apps. Prophix is an ideal solution for managing cash flow & revenue, balance sheets, budgeting, capital expenditure, and strategic planning. The cloud-based, on-premise solution for financial management and planning is linked to corporate performance management. With Prophix, it is easier to organize information, plan budget, analyze financial data, and automate reporting of repetitive processes. The financial reporting solution is designed with multiple modeling options that facilitate forecasting and predictive analysis. 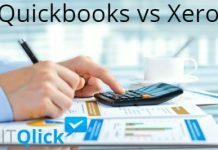 Prophix is an ideal Oracle Hyperion competitor that addresses the shortcomings of spreadsheet while providing better functionality. With its pre-built functionality, Prophix enables users to manage the infrastructure, logically create budgets. One of the leading Oracle Hyperion competitors, Anaplan stands out as a planning tool that makes decision making easier. Designed with powerful performance analytics and future forecasting capabilities, Anaplan offers a highly scalable platform for fast growing businesses. Users can align data in a hassle-free manner between two different departments with incompatible methods. Such connected planning accelerates decision making by turning response time to real time and enables creation of an accurate model. This is exactly what you need to take your business forward. It is the best tool for small and medium businesses that are growing fast and plan to scale up quickly. With the Anaplan platform, your enterprise can become more dynamic and collaborative, connecting people, data, and plans in every aspect of the business. Another powerful financial planning software, Adaptive Insight is designed to make planning and decision making easier. The Oracle Hyperion competitor comes with capabilities for comprehensive financial planning and reporting. With the solution, users can quickly produce accurate budgets and get deeper and better insight into their financial history and planning. Adaptive Insight makes enterprise-wide collaboration easier, making the delivery of stunning reports quicker. The user-friendly business planning cloud is an excellent alternative to spreadsheet and on-premise planning. Designed for large enterprises, Adaptive Insight automates data consolidation and integration. Users looking for a financial planning tool for business sheet forecasting, cash flow projections, and sales planning find Adaptive Planning as one of the best tools in the business, designed to help customers achieve top-class performance management. With an intuitive and powerful interface, Vena is one of the top Oracle Hyperion competitors, with revenue forecasting, financial planning, and enterprise budgeting capabilities. Its powerful reporting and analytics feature delivers insightful analytics for better, faster, and smarter decisions. With a tool like Vena handy, businesses no longer need to be dependent on manual workforce for data-driven analytics. It is the best tool to liberate your team from chasing numbers, report generation and creation, and data verification. The solution automates your core financial processes and guides your whole business processes and decision making with its advanced financial intelligence. 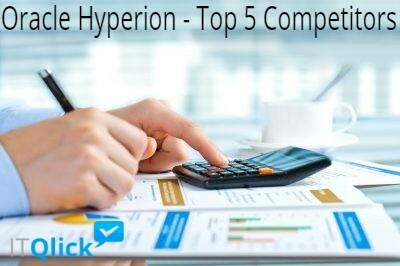 If you are unsure which of the Oracle Hyperion competitors you should pick for your business, it is important to take your business needs and budgetary constraints into consideration. Additionally, your choice of a top solution should depend on the software features, scalability, and ease of use and integration. 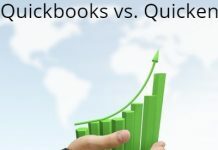 It’s a good idea to compare the top Oracle Hyperion alternatives and find the one that promises to scale with your growing business needs. 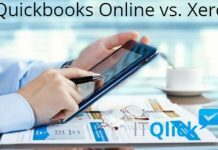 If you are still struggling with the idea of a financial planning solution and are not sure which way to go, come in touch with ITQlick experts. With a decade-long experience in the IT industry, we can guide your choice.